Bombaypolis Moments is back, with the third in the series of mobile grabs. 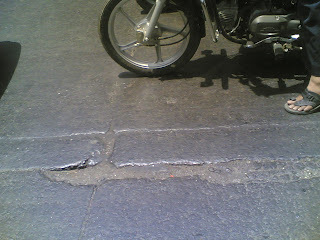 Commuting in Bombay has always been and continues to be a pain, especially when you have to pass over large potholes on roads considered the best in the city. I have heard of people developing bad backs, women having abortions because of bumpy rides. Is the BMC listening? 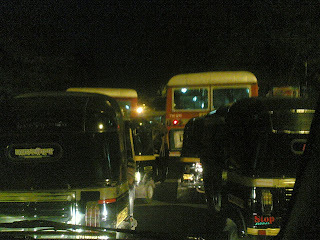 Traffic jams have always been a part of life in the city. But the rains make it worse. Expects traffic snarls all through the day. Trust me, it could take you as much as 2 hours to cover a stretch of 2 kms. I have been through it. Two traffic menaces one has to be careful about - the BEST buses, which are the bug red bullies on the road - they don't even think twice before braking hard just a few inches behind you. 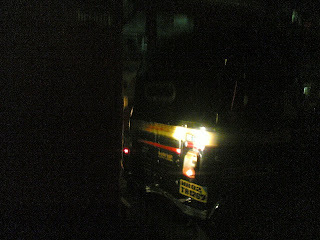 And who can ignore the autorickshaws. They come out of nowhere, like swarms of bees (black and yellow), with noisy drones and get right into your path. What the hell is lane driving? 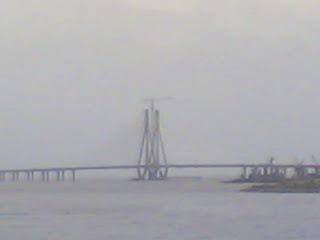 The Bandra Worli sealink is ready and to be opened shortly. But will it do any good when you are sure to expect jams at both the Bandra and Worli ends? If you are brave enough, have strong bones and need a massage, travel by train. Its the fastest. But the uninitiated can get minced to the bone, like sardines in a can!!!! 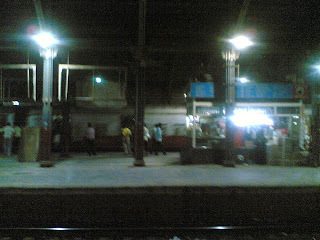 Bandra station is never this empty, except after 11 PM. 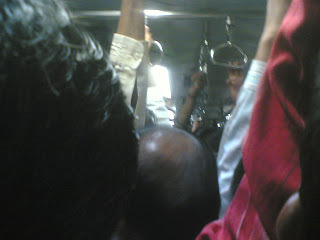 Wish train rides during the day would be as convenient as at this hour. 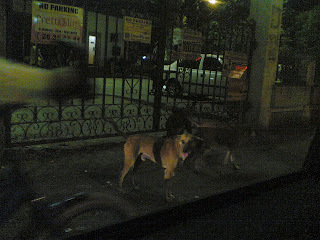 For those who choose to walk, another menace lurks on the streets - stray dogs. Sometimes they really get aggressive with hapless pedestrians, without any provocation. Animal lovers may not like, but the menace needs to be stopped. 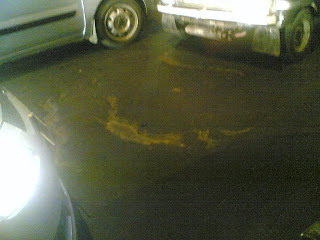 And who says jams are only on the ground? Ever tried landing into Bombay airport at any hour? 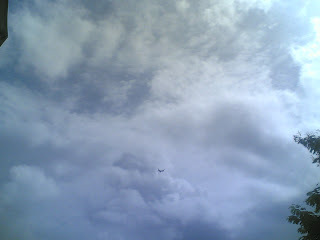 You are sure to find "jams" in the sky too with endless hovering..... That's what they call going around in circles! Air Force One, Singh is King, etc. etc.